[vc_row type=”in_container” full_screen_row_position=”middle” scene_position=”center” text_color=”dark” text_align=”left” top_padding=”25″ overlay_strength=”0.3″ shape_divider_position=”bottom”][vc_column column_padding=”no-extra-padding” column_padding_position=”all” background_color_opacity=”1″ background_hover_color_opacity=”1″ column_shadow=”none” column_border_radius=”none” width=”1/1″ tablet_text_alignment=”default” phone_text_alignment=”default” column_border_width=”none” column_border_style=”solid”][vc_column_text]First, you must complete the Certification in Sports Management to proceed.  Secondly, you need to contact the Continuing Education office by email to declare your intention to enroll in the Sports Diploma program. Please note that a $100 administrative fee will be required to enroll. The study of the principles of personnel management including staffing and development of human resources as applied to sport. The study of basic concepts, theories and organization of administration. The managerial environment, ethics, social responsibilities and strategic management as related to sport are also explored. A study of sport marketing principles and the elements of the marketing mix. Selected topics include advertising, promotions, pricing, sponsorships, licensing, and market segmentation. The study of the principles involved in planning, marketing, producing and evaluating sports events and facilities. A study of the concepts involved in sports fundraising activities. A study of the nature, content and application of public relations in sport programs as related to educational institutions, organizations and associations. An analysis of professional and amateur sport organizations from a philosophical, historical and operational perspective. An examination of the structure, history and culture of the Olympics and the Olympic movement. This course examines the concepts, principles and methods of organizing and administering security management and loss-prevention activities in industry, business, government and sport venues. Emphasis is on protection of assets, personnel and facilities. In this course students examine principles and issues in security management as well as the challenges, concepts, strategies and skills needed to manage security-related operations and activities. Focus is on leadership in management, personnel management, security planning and evaluation, communication and best practices. Students should read the Mentorship Handbook for information regarding the requirements and guidelines of the mentorship program. Briefly, the student selects a mentor and mentorship site and then will submit the necessary paperwork and will receive approvals. At that time, the Mentorship Office will notify the Department of Continuing Education that the student is approved for registration and charged for their mentorship. Upon completion of all mentorship requirements, the Mentorship Office will notify the Department of Continuing Education of the final mentorship grade. After the grade is recorded, the Sports Diploma will be issued.